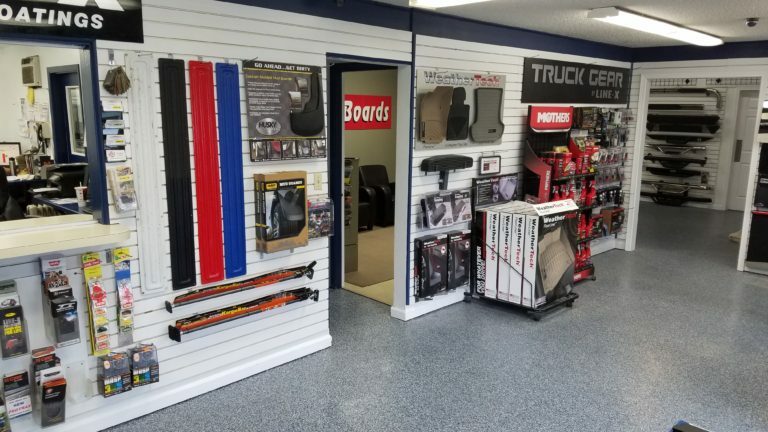 We have truck accessories, LINE-X installers, running boards, Nerf bars, racks, fog lights, trailer hitch accessories & more! 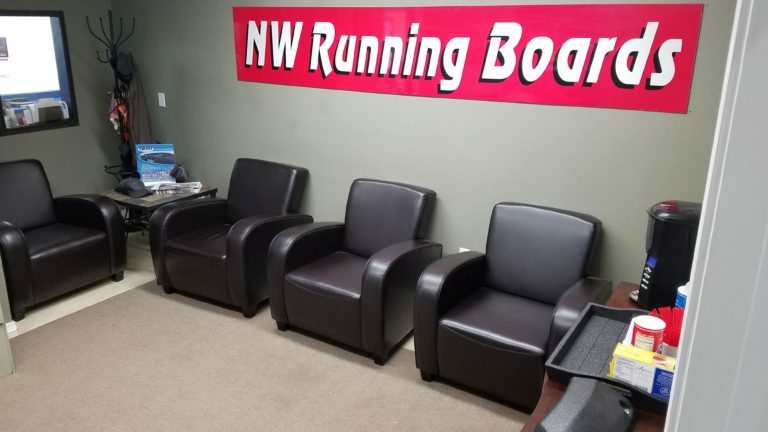 NW Running Boards is a family owned business in the same location for over 30 years. Knowledgeable staff and trained installers are here to help you with all your questions. NWRB has a LIFETIME WARRANTY on installation of all the products we sell, to give you peace of mind your investment is safe. We carry a large inventory of most popular items so you can see it before you buy it! If we don’t have it in stock our Portland warehouse does! Canopies, Hitches, LINE-X Spray-In Bed Liners, Running Boards, Nerf bars, Steps, Yakima Racks, Thule Racks, Tonneau covers, Bed Caps, Fog Lights, Driving Lights, Hitch accessories, PIAA bulbs, Bug Shields, Husky Floor Liners, Seat Covers, Dash Mats, Mud Flaps, Chrome Door Handles, PIAA Wiper Blades, Bike Racks, Snow and Ski Racks, Cargo Carriers, Grilles, Vent Visors, Fender Flares, Performance Chips, Lift Kits, Leveling Kits, Towing Solutions, Window Tinting and More! Live in Tualatin or Sherwood? Visit www.tualatintruck.com For our new location. While waiting for your vehicle you are more than welcome to relax in our waiting room and watch TV or read a book. Because of our shops central location we have places to eat close by, for example Subway across the street, or Ole’s Medium Rare Steakhouse next door. We have truck accessories, LINE-X installers, running boards, Nerf bars, racks, fog lights, trailer hitch accessories & more! 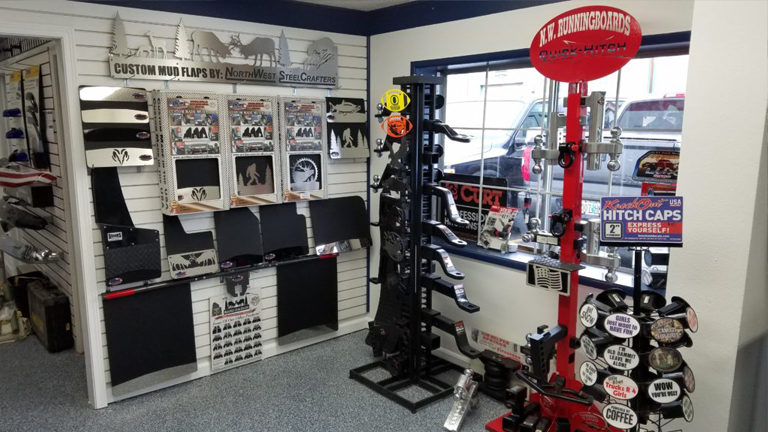 NW Running Boards is a family owned business in the same location for over 30 years. Knowledgeable staff and trained installers are here to help you with all your questions. NWRB has a LIFETIME WARRANTY on installation of all the products we sell, to give you peace of mind your investment is safe. © 2019 Northwest Running Boards | All Rights Reserved.